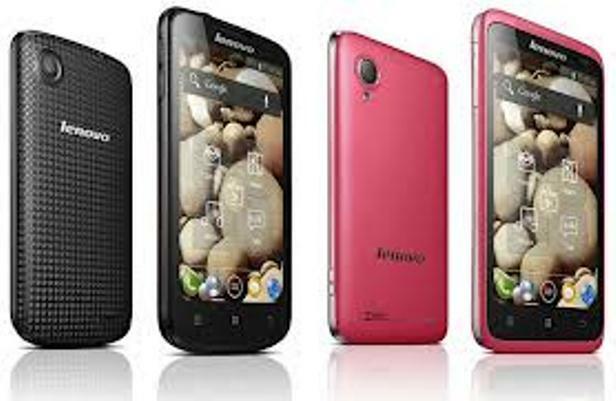 Having an outstanding reputation for its performance and high quality, the Lenovo A690 is a smartphone that was launched at the beginning of 2013. Specially designed for browsing the internet and listening to music, this phone is one of the most affordable and most craved from Lenovo. Android devices don’t always happen to work perfectly, which is why you might sometimes experience errors, freezes, hangs and other unpleasant software issues. Since these could interfere with your user experience and you might want to regain functionality of the phone, we recommend hard resetting the Lenovo A690. This is a simple procedure that will get you rid of all problems very quickly, but it will also erase everything stored on the device. Running on Android OS v2.3.6 (Gingerbread), the device features only one camera – a 3.15 frontal one attached with geo-tagging. Being equipped with 512 MB ROM and 512 MB of RAM, the Lenovo A690 has a card slot that enables users to insert an external micro SD card that could store up to 32 GB more. In terms of connectivity, the phone has Bluetooth and Wi-Fi 802 hotspot, coming with integrated Youtube and Maps applications. Before you start with the master reset process, you should first fully charge the battery and make sure you created a backup of the data. To avoid losing any important files or folders from the smartphone, it’s useful to save it on an external device, such as a PC. To do so, you simply have to connect it to the chosen device via the USB cable. Alternatively, you’re also safe using the Phone Copy application that suits all Android phones. Turn the phone off before proceeding. Press the Volume Up (2) + Power (1) keys and hold them together for a couple of seconds. Release the buttons when the Recovery Menu appears and choose Wipe Data/Factory Reset with the Volume keys (2). 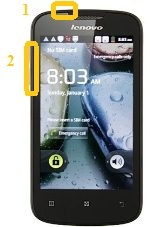 If prompted, select Reboot Phone using the same Volume buttons and follow any additional on-screen instructions to continue. This procedure will have started the reboot on your phone and it will take up to 5 minutes for it to be entirely done. Once the reset is over, you can use the backup you made to restore all the necessary data on the Lenovo A690. Then you’re safe to use it just as you did before. how about if the recovery menu is in chinese,how to choose the reset factory settings?